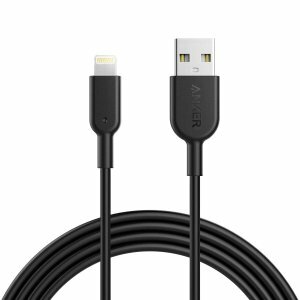 Amazon.com offers the Anker Powerline II Lightning Cable 6ft for $10.19. Black via coupon code CABD8433 . Other colors via coupon code BDKA8433 . Features: An all-new design incorporates bulletproof fiber to create a cable that is over 40% stronger than the previous model. It tolerates over 12,000 bends and is capable of supporting over 175 lb (80kg).